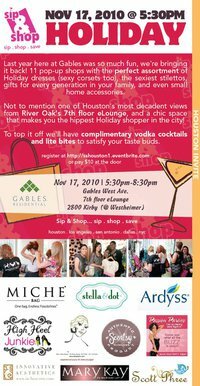 Houston’s Best Shops, Docs, Places, Etc…. your family, and even small home scent accessories. a chic space that makes you the hippest Holiday shopper in the city! vodka cocktails and lite bites to satisfy your oral fixations! !